I had the privilege of seeing family recently. It was a mini reunion of sorts, an unexpected and lovely surprise on a windy, sunny Sunday afternoon. A relative of my late husband was celebrating a milestone birthday, and we all got to gather to celebrate her. I was and am honored to be included still in this family, even though my husband is no longer here. He remains my connection to these good people, and I am grateful. Among the welcoming faces I saw was that of a young man, the son of my late husband’s cousin. He is on the local police force, as was his father before him. His girlfriend was there, a lovely and engaging young woman. She is also on the police force in our city. 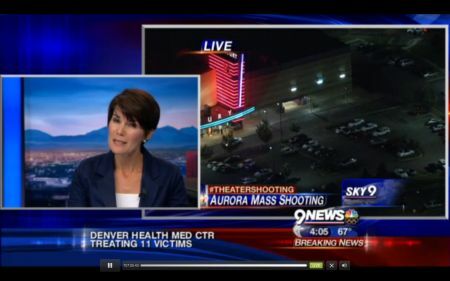 So it was probably inevitable that talk would turn to the Aurora Theater shooting, now nearly ten months ago. He knew my girls had been there, and was eager to see how they are doing in the aftermath of the trauma that was that night. I have written before about my daughters’ time in Theater 8, about how they tried to leave but were stopped in the interest of their own safety. 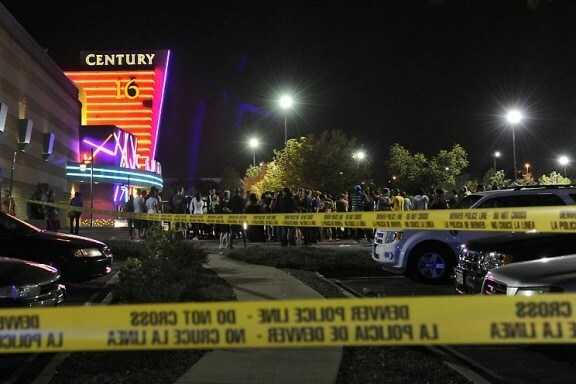 I shared how they left the theater parking lot just before it was locked down and how we struggled to make sense of what had happened as the night hours wore on. 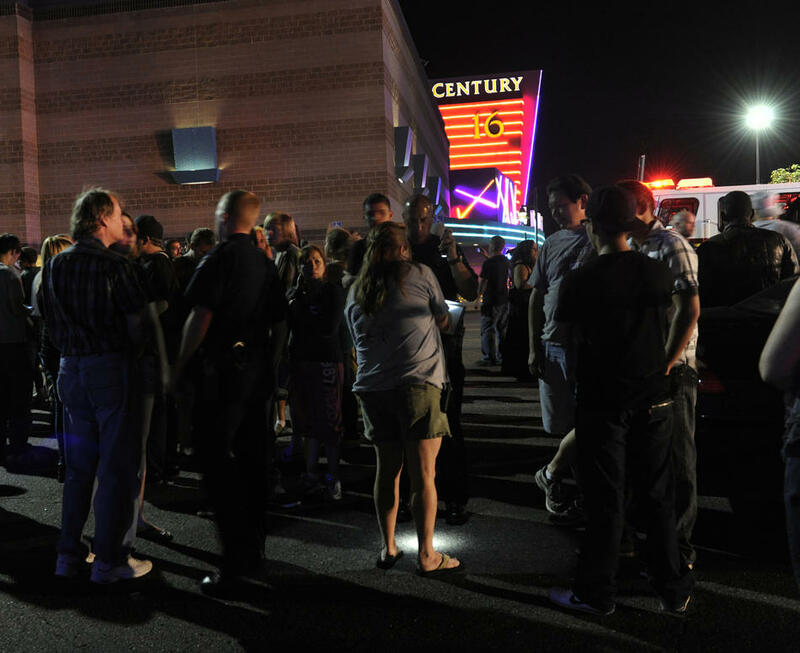 I also told of a story I’d read about a man who got up to lead two girls out of the theater, one of whom had been shot in the jaw as bullets came through the wall from the beginnings of the rampage in Theater 9 next door. 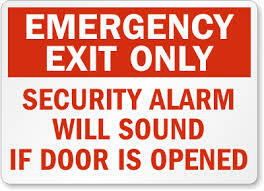 As he started to lead them out to the lobby, he saw what he thought might be a gunman, so he retreated back into Theater 8, closed the door, and instructed someone to pull the emergency alarm. “That was us,” he said. “That wasn’t the gunman that guy saw in the lobby. It was us. We got there three to four minutes after the call came in. 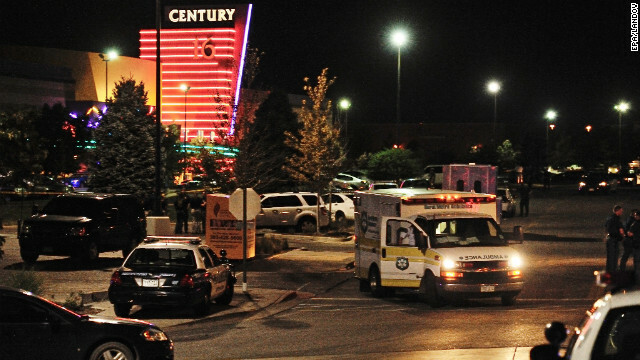 When we arrived the gunman was still in Theater 9. We know that because people were still coming out of there, and they’d been shot on the way out.” He went on to explain that they were armed and wearing gas masks. “Well I think I would have shut the door on you, too!” I told him. 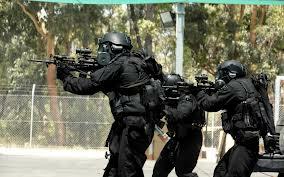 I’ve never seen a S.W.A.T. team in action (and hope I never have cause to) except on TV or in the movies, but if I’d seen them approaching me, armed and in gas masks as I was trying to help someone who’d been mysteriously shot, I could very easily mistake them for gunmen on the loose, I’ve no doubt. His girlfriend told me that she had not been on duty that night, but she did what she could, calling the families of the officers she knew were on scene. She worked to assure them that their loved ones, the first responders we so often count on, were safe. They were doing their best to contain a nearly uncontainable situation, and had no time to contact their relatives who undoubtedly heard the story unfolding, feeling as confused and frightened as the rest of us. We don’t often think of them, I imagine, of the families of the people we trust to step in, to run towards the danger every day. 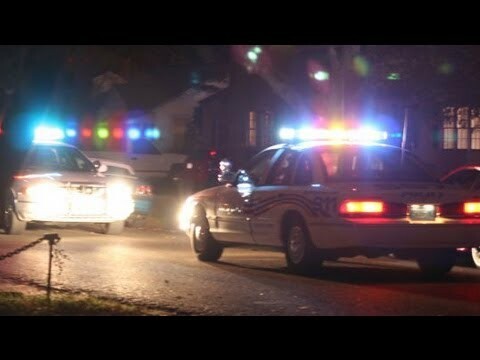 I have family members in more than one city and state who are on the force, so I have somewhat of a feel for how it is. But I don’t live it daily, knowing that just going to work could mean that someone I love is putting their life on the line. I suppose we also don’t think much about what those first responders see, how it affects their lives, their jobs, and the people they love. I wonder if we often take the time to think of them as real people, with real lives, families, children, struggles, and emotions. Statistics do not bode well in regards to many things when it comes to these fine folks and their families. They live in a dichotomy that few of us could understand, much less be bothered to consider very often. It’s a humbling thought. Yes, I know they choose to do that. Yes, I know it’s their job and they’re paid for it. I know that some people will choose to focus on the relatively few public servants who lack integrity and character. And I also know those who opt to be first responders are the minority, that most of us don’t make that choice, don’t decide on such a career. 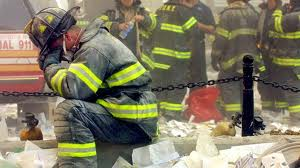 I still say it’s humbling, and I’m thankful they were there to offer order on a night of terror, as they are so many other times that don’t happen to make the national, or even nightly, news. “We probably passed each other as they left the theater,” said my girls’ step-cousin. “But they couldn’t have known it was me all suited up and wearing a gas mask.” I’m pretty sure he’s right on both counts. He didn’t elaborate much, but alluded to the terrible sights he and his team had seen in the theater in those early morning hours. I was moved as these two officers told me that they haven’t been to a theater since the shooting. They don’t know when they will; they just know that they have no desire to for the time being. “How are they now?” he asked me, wanting to know of any lingering effects of the night my girls might be having all these months later. My younger daughter, I shared, has only been to one movie, and it was not at a traditional theater, but instead at one that serves dinner with the show. And that was enough. Other than that outing over four months ago, she has no desire or plans to go to any theater. … and this is my daughter’s personal memorial. Content and personal photo © Monica Simpson and Help To Hope, 2013. Read Theater 8, Part 1 here. 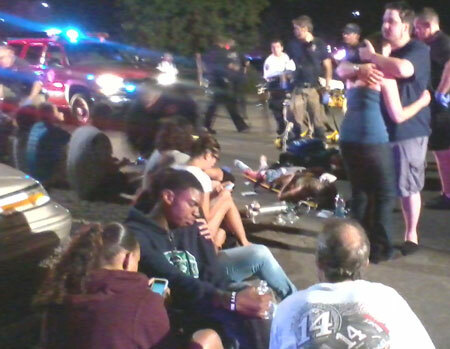 My daughters were crouched on the floor between rows of seats at the Aurora Theater only 2.5 miles from our home. Our phone call had been cut short because it was simply too loud in there to continue. Movie dialogue and music, growing crowd noise, and the piercing of the emergency alarm had sabotaged our conversation. I lay in bed thinking it was probably a gang shooting, sadly not an unknown occurrence in the area. I figured the theater staff would come in, explain, and calmly evacuate everyone, handing them their free movie passes on the way out or at least telling them when they could come back to get them. I waited to hear back from my girls. Nothing. After about 15 minutes, I sent a text to my older daughter, who had been very concerned about her sister’s rising anxiety. “If you have to,” I wrote, “find an employee and tell them your sister is having a panic attack and needs to be away from the crowd. Maybe in an office or something.” This was at 12:55 a.m. I pictured my younger daughter, shoulders heaving as they simultaneously tried to curl around and enclose her, breath catching, sobs racking the way these things happen when anxiety takes her into a place of full panic. Still, I did not yet grasp the enormity of the event. None of us did. This is not the story that makes the news, but if you knew this girl, this big sister, and what she has endured in her 20 years, you would realize this protective determination was in itself a bit of a miracle. She took charge. She led her panicked sister out with “We’re going. I’ve got you” as they joined a growing crowd finally exiting through the lobby. 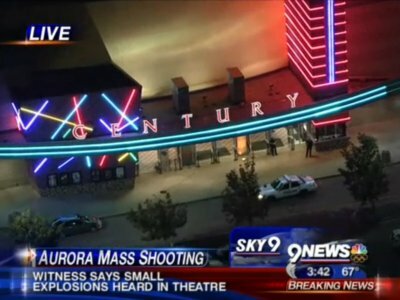 They got to the doors leading outside when my younger daughter refused to exit the theater for fear of a gunman loose in the parking lot. “We are leaving and I am taking you home!” was the firm response from her sister. So the younger, almost ever and always the leader in both mischief and fun, was taken by the usually more reserved elder out past the gathering throng of people, police cars, and emergency vehicles, loaded into the car, and driven the short route to home. Granted, the younger cursed at the older pretty much the whole way. At the top of her lungs, it seems. But she had the grace to apologize a day or two later, after she left the confines of her locked basement bedroom where she hid for some time. Unknown to me as I waited at home, the police blocked off the theater parking lot, putting it on lockdown just after my daughters drove out of it. As I waited anxiously, having flashbacks of stories from Columbine High School (I’d had friends whose kids were there, who had hidden from the gunmen as best they could) and thinking my girls may still be crouched on the sticky theater floor, I was debating whether or not to call, to battle the piercingly loud emergency alarm, movie music, and people that had infiltrated and ended our previous conversation. I was giving it “just five more minutes”, when suddenly there was pounding on my bedroom door. Her older sister came into the room. We spoke a little bit, trying to piece together a clear picture in spite of all the confusion. “I don’t want to talk about it!” was all her younger sister would sob, eventually taking her refuge downstairs in the basement. The next hours were spent online and in front of the television, trying to gather information, numb with the realization of what had actually happened and how close my children (young adults, yes – but my children nonetheless) had been to death and destruction. Thankfully, my daughters left the theater quickly enough to avoid the sight of carnage, damage, and bloodshed. They were spared what many were not. I am very grateful. 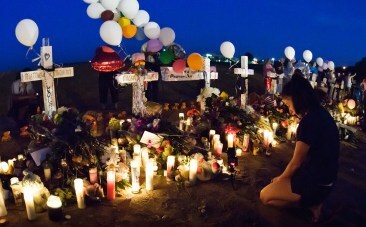 Even so, they were traumatized, adding yet another layer to what seem to be endless layers of challenge for our family. I don’t pretend to understand. I don’t pretend to be okay with it. I don’t pretend to think that the issues they were already facing will not be worsened and intensified by this experience; they probably will be. But I will do my best to encourage them to face this head on, to allow for their grief and trauma to be processed (and my own as well), but not give it permission to control their lives. These are ultimately choices they must make for themselves, and I don’t think we even yet fully understand what the entire impact of this experience will be. But I am not prepared to give up on their behalves. One daughter is ready to head back to a movie theater, eager for the enjoyment she derives from films, toying with the idea of film production school. The other is not yet ready to be on the light rail, or in a classroom, and especially not in a theater. These are the first steps and, faltering or not, they are necessary for all future steps. 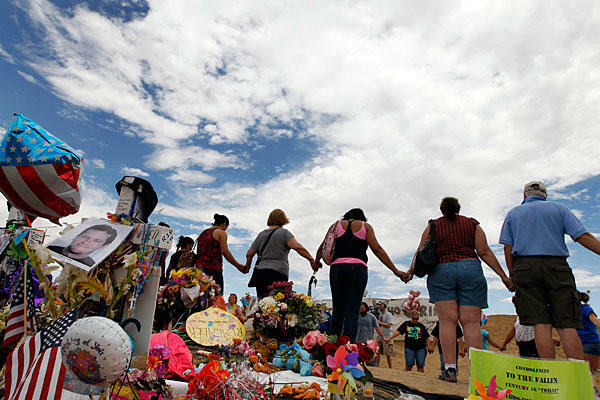 It is now nearly nine months since the internationally publicized Aurora Theater Shooting. My older daughter loves going to the movies, alone or with friends. 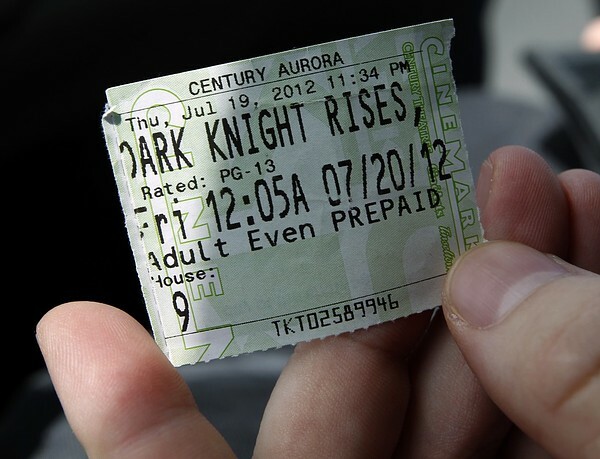 My younger daughter has been to one movie theater since July 20, 2012. 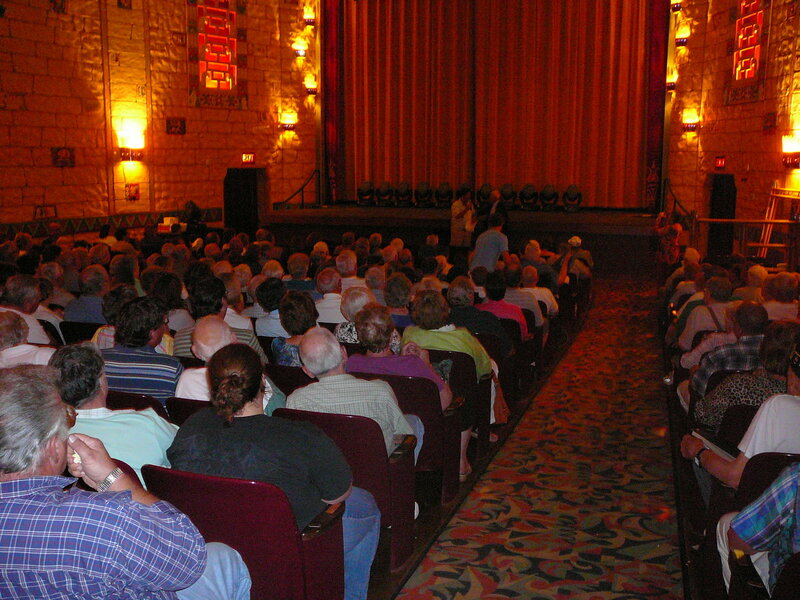 It was one of those places that combines movies and dinner, where the seats are bigger, the aisles are wider, and the layout is not like that of a traditional theater. She was flanked by two trusted men, both members of the US Army, which was all by careful design. She knew what she needed, and she made sure she had it. I can learn a lot from that girl. I am immeasurably proud of both of my daughters. 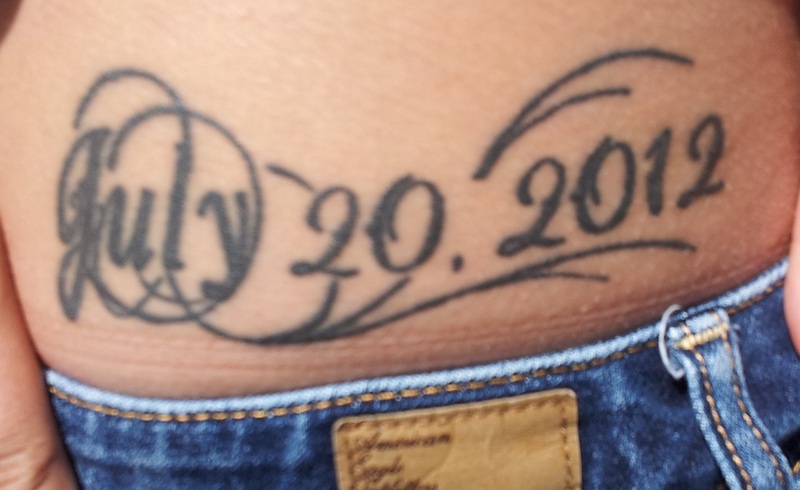 July 18, 2013. 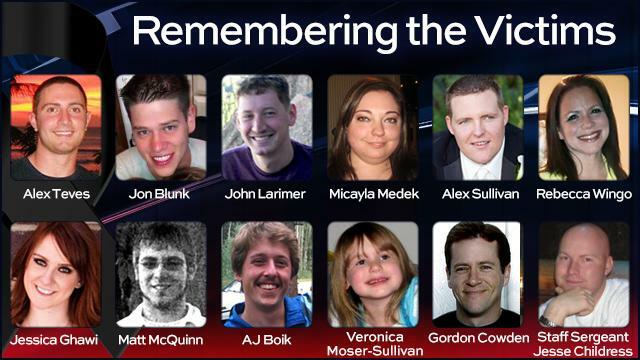 It is now two days until the one year mark of the horrific tragedy that was the Aurora Theater shooting. Our city remains scarred but determined. I find that I can’t watch much of the local newscasts this week, though. And that’s okay. 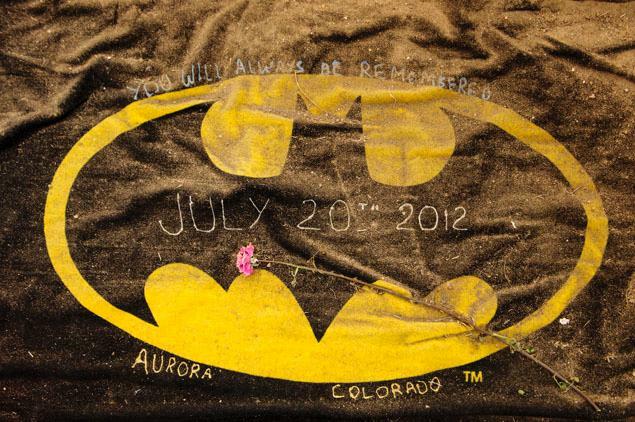 In honor of those who lost their lives, those who survived their injuries, those who were “just” there at the Aurora Theater on July 19 & 20, 2012, and the families and friends of all the aforementioned: Please indulge me as I re-post (with a few updated revisions) the story of the time my daughters spent at the Aurora Theater that night. This account is written in three parts. The next two parts will be posted July 19 and July 20. There are several misconceptions that can result from sharing a story like ours. One that strikes me in particular is, knowing that our family has faced and overcome certain mental health issues, people assume we get to move forward without further crisis. In families where teens are in an extended time of crisis, their parents and siblings can and often do develop issues and concerns of their own. We have certainly experienced that. And we have also learned the truth that no one gets a pass. One trauma does not exclude anyone from the next. This isn’t necessarily good or bad. It’s simply life. Yes, it can be frustrating and feel unfair. But, as with everything, we get to choose how we approach, resolve, and integrate these circumstances that are life. 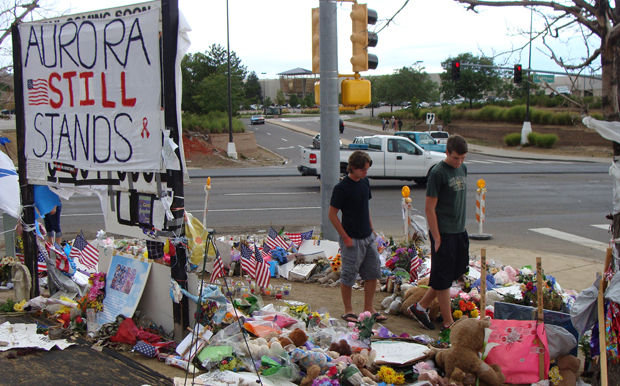 The following piece, split in to two posts, was penned on August 6, 2012 about two and a half weeks after what has since become internationally known as the Aurora Theater Shooting. “Mom, I thought we were going to die.” My daughter tells me this as I gently delve further into the as of yet not-fully-shared story about my girls’ time in Theater 8. Theater 9 was where the gunman began his rampage, and the pops and smoke my daughters and many others mistook for firecrackers were in fact bullets and chemical ‘smoke’ coming through the wall. At first they were annoyed. 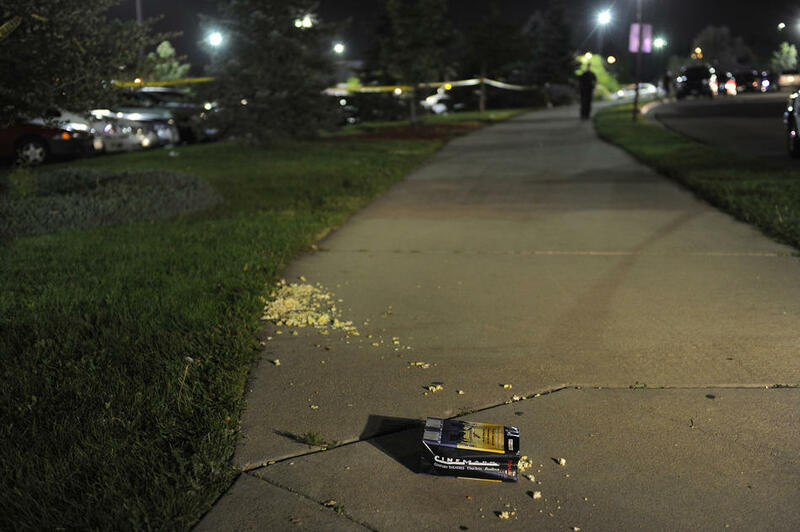 “Oh leave it to some idiot at the Aurora Theater to shoot off firecrackers during the midnight Batman premiere. It figures.” But as some people began to get restless and others got up to leave, they were a little confused as well. I read an online account of a young man who stopped to help a girl who was shot in the jaw by bullets and/or shrapnel from gunshots fired from the theater next door. I learned from his story that there was potential for so much more destruction. I am paraphrasing from memory, but it seems this man got up to leave Theater 8 after the bullets came through the wall. He happened to pass a stranger, the girl who had been shot, and (his mother must be so incredibly proud) he was taking her and her friend out to find help. At this point, the kind stranger tells another theater patron to pull the emergency alarm. The story I read did not tell the details of what else he did or how/when they finally got out, but they did. Or maybe it did tell, but I don’t remember. I had to stop reading and watching. I’m not sure if I would have believed it. It makes sense to me that it could have been the next part to a stupid prank that began with the ‘fireworks’ that sounded a few moments ago. 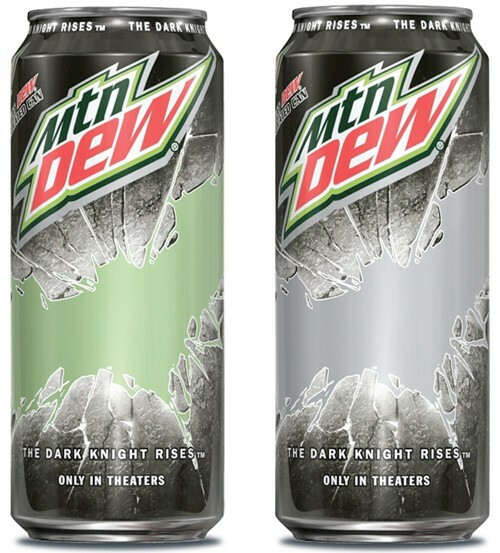 Because really, it’s a midnight movie, not a battleground. Someone just has a sick sense of humor. I could have thought that had I been there. Definitely. This is when I got a phone call. 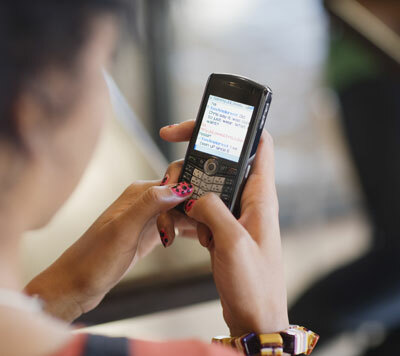 I had only been sleeping for about 20 minutes (curses on my night owl tendencies), so my mind was in that dizzy place between wake and sleep, and I recall stumbling across the bedroom to find my ringing cell phone sitting on the floor next to my purse. “Mom! Someone set off fireworks in the theater or something! We were just trying to watch a movie and someone does something stupid, and now we …” I really can’t recall the rest. My youngest was having a panic attack, and became irritated because I was repeating her words back to her as I tried to make sense of them, and as I tried to awaken my half sleeping self. She was fighting the anxiety as her voice strained and she held back the sobs that nearly always accompany her panic attacks. This made decoding her words even more challenging. “No, Mom. It’s me.” My other daughter was on the line now. Her sister had thrust the phone at her in frustration. She tells me some of the same things I’d already been told, and explains that they are crouched on the floor between rows of seats. What? This is something I cannot process. I simply cannot wrap my head around it. The movie was blaring in the background as we spoke. Dialogue and music swelled, but there was also an exceptionally loud sound my mind was trying to comprehend. They told me they were on the floor hiding between rows of seats, but this noise suggested they were outside instead. This is the time, I later learn, when she was pretty sure they were going to die. Today, June 27, 2013, is Post Traumatic Stress Disorder Awareness Day. 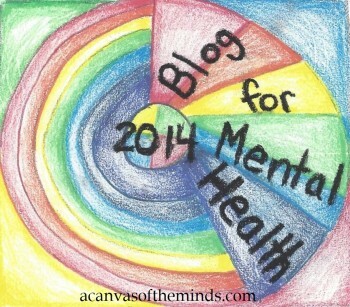 I would like to invite you to read a blog post I shared this week at TheWiddahood.com regarding PTSD. According to the National Institute of Mental Health (NIMH), about 1 in 30 adults in the U.S. suffer from PTSD in a given year. About 7-8% of the population will have PTSD at some point in their lives. 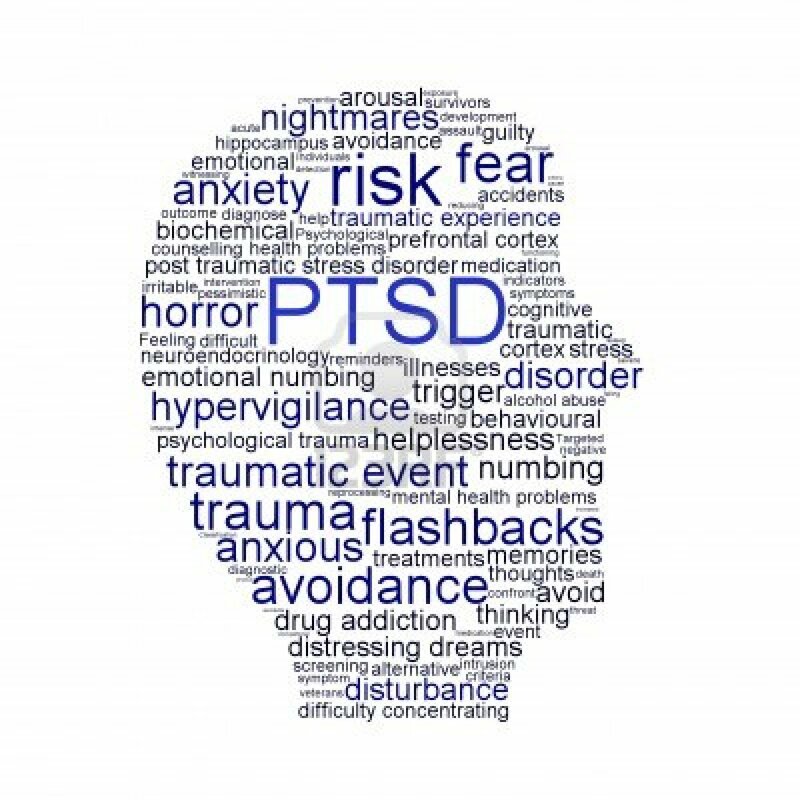 About 5.2 million adults have PTSD during a given year. This is only a small portion of those who have gone through a trauma. Women are more likely than men to develop PTSD. About 10% of women develop PTSD sometime in their lives compared with 5% of men. 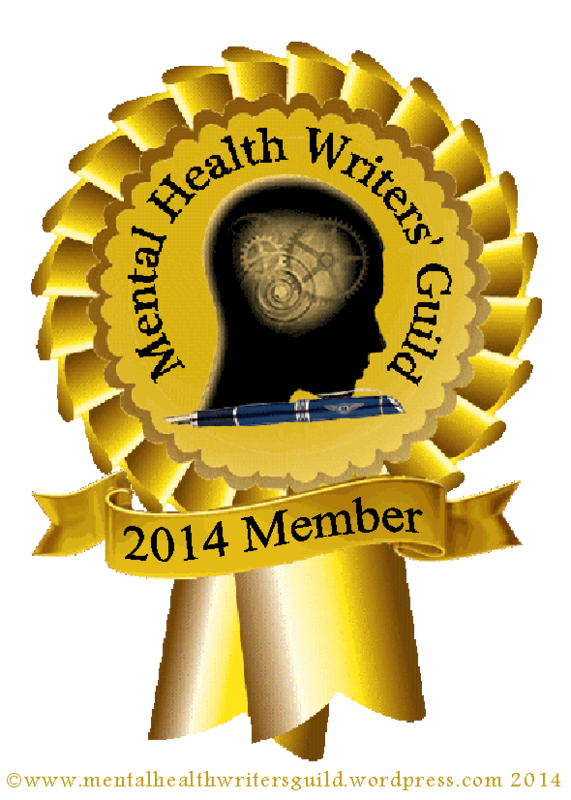 Please read PTSD Awareness for links to information on symptoms, causes, treatment, and hope for those dealing with Post Traumatic Stress Disorder. Soldiers, victims of crime, widows, and everyone else should be aware of the signs and symptoms of PTSD. If you never suffer from it yourself, you can be a source of encouragement, understanding, and support for someone who does. Learn. Reach out. Heal. Support. I had the privilege of seeing family recently. It was a mini reunion of sorts, an unexpected and lovely surprise on a windy, sunny Sunday afternoon. A relative of my late husband was celebrating a milestone birthday, and we all got to gather for a time to celebrate her. I was and am honored to be included still in this family, even though my husband is no longer here. He remains my connection to these good people, and I am grateful. “That was us,” he said. “That wasn’t the gunman that guy saw in the lobby. It was us. We got there three to four minutes after the call came in. 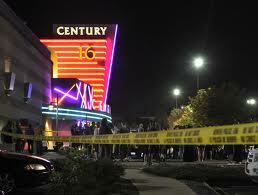 When we arrived the gunman was still in Theater 9. We know that because people were coming out of there, and they’d been shot on the way out. It wasn’t the gunman he saw; it was us.” He went on to explain that they were armed and wearing gas masks. His girlfriend went on to explain that she had not been on duty that night, but she did what she could, calling the families of the officers she knew were on scene. She worked to assure them that their loved ones, the first responders we so often count on, were safe. They were doing their best to contain a nearly uncontainable situation, and had no time to contact their relatives who undoubtedly heard the story unfolding, feeling as confused and frightened as the rest of us. My younger daughter, I shared, has only been to one movie, and it was not at a traditional theater, but instead at one that serves dinner with the show. And that was enough. Other than that outing over four months ago, she has no desire to or plans to go to any theater. Why does it sadden me that we cannot be always and intensely aware of the suffering in our world? I suppose it’s because it seems to me that, apart from a public tragedy such as the Boston Marathon bombing or numerous others of which we are all aware, many shy away from those who are hurting, or at the very least the wounded become the forgotten ~ not necessarily on purpose, but simply as a matter of course. (I am guilty of this myself. Most definitely.) I know what it’s like to be on the other side, to be the one who wants someone to bear witness to my suffering, even as others may think I should be ‘over it by now’, or are simply unaware of my struggle. A great disturbance in the Force deserves a great deal of attention. I believe we are created for connection, and sometimes connecting to someone means feeling their pain. Just as we rejoice with those who rejoice, we need to weep with those who weep. We need to celebrate with one another when there is cause, and we also need to mourn together when necessary. This isn’t easy. It isn’t pleasant. But it’s right and necessary if we are to fully embrace the entirety of who we were made to be. 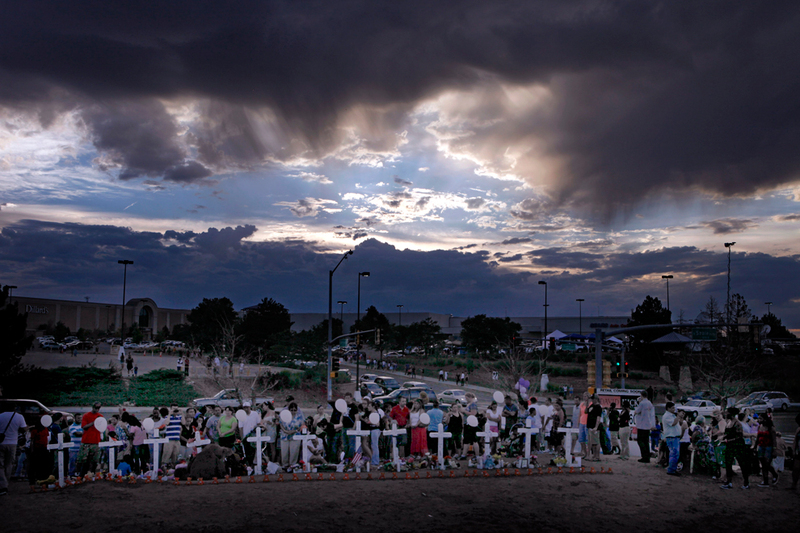 We cannot all fly to Boston, or Iran or Pakistan, to comfort those in need or pain. Thankfully we will not all experience the trauma of being present at some type of public disaster so that we can step in to offer aid in the midst of violence or loss. But we can all be aware of those around us, if we so choose. We can seek out the hurting; we can step in without judgment or verdict. We can set aside our own opinion of what we think those in crisis must do, and simply be. Be with someone whose heart is breaking. Hold their hand. Enter into grief with another, refusing to be scared away by the fact that you do not (and cannot) have all the answers. Sit together in silence. Or ask a question about their loss. You may be surprised to learn that they really want to talk about it. Allow them the necessary depth and length of their grief. You would want no less were you in their situation. I am not here to debate the Why of any tragedy. Whatever your belief or lack thereof may be, the fact remains that sorrow, loss, and heartache surround us. We live in a world where violence, death, and grief are not new, but are certainly more quickly able to be made known than at any other time in history. We may choose to rail against the injustice of suffering, but that makes us no less culpable in relieving what distress we are able. We have seen an outpouring of goodness in response to an act of destructive aggression. Individuals, groups, even cities have stepped in to show support and solidarity to those reeling and recovering from the attack. And then there were those Bostonians who opened their businesses, homes, and hearts in the immediate aftermath of the bombing. They had no answers for those who were suffering. They were simply willing to do the best they could with what they had. They took a risk and chose to enter in. May we be bold enough to daily do the same in our own relationships and communities. Like so many in our country, I am saddened by the recent Boston Marathon bombing. The literal loss of life and limb, plus the trauma experienced by so many, is difficult for us to process. So what does Obi Wan Kenobi have to do with how I am trying to sort out this difficult situation in my own mind? 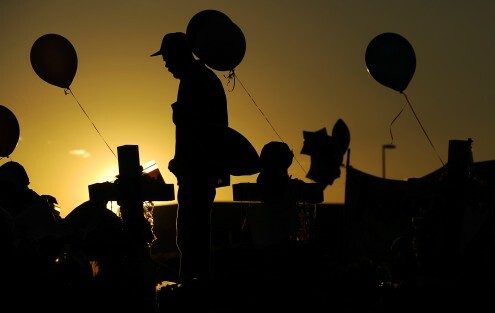 For so long it has seemed to me that when large scale tragedies occur, we should all be able to sense it, to know that a menacing or malicious act has taken place, that fellow human beings are suffering, hurting, and dying. It seems so wrong, that we aren’t aware, that we don’t immediately feel “a great disturbance in the Force” when tragedy and turmoil strike. Short of living in George Lucas’ invented universe, we won’t. And I’m sure that’s a good thing because the constant, uninterrupted anguish and heartache would surely be our undoing. These types of events occur regularly throughout the world, so we would constantly be quoting Obi Wan, weary with the exhaustion of grief, fear, and every emotion that haunts us when there is such a catastrophe, either man-made or naturally occurring. Consider for instance the earthquake on the Iran/Pakistan border, which occurred only hours after the Boston Marathon attack, or the one that struck just a week earlier in the same region. And then of course there are those areas of the world where bombings and attacks are a way of life, where children grow up knowing to expect chaos and turmoil every day. 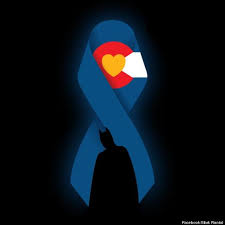 Even though my daughters were at the Aurora Theater shooting nine months ago, we still live in relative peace and calm compared to so many others sharing our damaged and hurting world. Still, I am struck by the fact that such dreadful things can happen, and we only find out about them on the television news, via our Twitter feeds, or by scrolling through our Facebook pages. Shouldn’t we all feel the piercing pain and angst of our fellow mortals, wherever they may be? Why is it that I should be shopping or chatting with a friend while others are losing homes, limbs, livelihoods, and lives? Beyond the calamities that are newsworthy on an international scale, there are millions of misfortunes happening daily on a much more personal level. How is it that I can be taking a nap or curled up with a good book when someone is burying a beloved parent, or watching their child battle for her life? Why should we be gathered around the dinner table while another family has just been killed by a hit-and-run driver? What about my fellow widows, one of whom was jarred awake early one morning by a phone call informing her of her husband’s death, or another whose husband’s unknown illness took his life one Thanksgiving Day a few years ago? How do we continue about our lives without feeling a great cosmic disturbance from these tragedies? It’s a double-edged sword, isn’t it? Something along the lines of a severe mercy. Were we all to be constantly and acutely aware of the suffering surrounding us, life as we know it would not exist. I’m certain that on the Friday night I made the decision to turn off my husband’s life support, there were lots of happy people celebrating the end of a long week. I know that as I signed the admission papers for my daughter at the adolescent psychiatric unit, it was the middle of the night and most of the people in our state (and country, probably) were tucked safely in bed. As my daughters heard the first shots ring out in the theater next to theirs, I was actually falling asleep myself. We can’t know and sense all these things. We can’t. And I am thankful, even as I am slightly saddened.